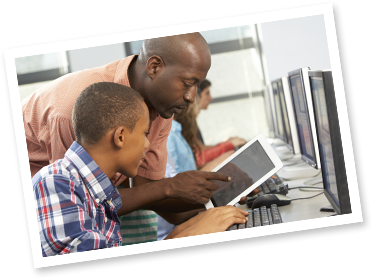 Why become a career exploration advocate for your child? Studies show parental expectations and involvement have the greatest effect on their child’s career decisions -- even more than school involvement! I have no doubt you want the best for your children. Chances are you spend countless hours supporting them at sporting events, with dance classes, music lessons, academic tutoring, scouting activities and lots more. But how much time do you spend helping your kids explore careers? It’s too soon, you say? Or perhaps you’re waiting for the school guidance counselor to take the lead? In some cases career exploration is a high school counselor’s fourth priority behind (1) helping students schedule classes, (2) preparation for college and standardized tests and (3) dealing with student behavior issues and personal development. For that reason, it gets little attention. Not surprisingly, research shows that students make uninformed career decisions. A recent Gallup poll indicates 70% of U.S. workers don’t like the work they do. An estimated 75% of college students change their majors at least once. And 57% of college graduates say they chose their major because it would land them a higher paying job – not career satisfaction. We’ve all heard the horror stories of college graduates regretting their major and wishing they had made a more appropriate decision – after starting work! So what can caring parents do? Can you help your child make better career decisions based on research, self-reflection and awareness of their own personal goals? If your child said they wanted to be a (you fill in the blank), could you provide the support and guidance they need? PS: I also provide personal coaching via phone or Skype. Contact me at janet@careersareus.info for more information, and be sure to pick up your free Report, designed to give you the skills, tools and confidence to help your child explore the best career options for them!